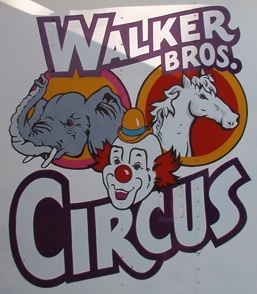 The Walker Brothers Circus has not been to Colonial Beach in awhile. Here are some fond memories of when it did stop here. The circus is coming to town! Town Hill in Colonial Beach, that is! 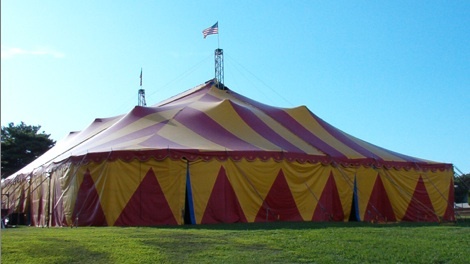 The Sarasota, Florida-based Walker Brothers Circus is a one-ring European-style event under a big top which travels for ten months out of the year, making a stop along the way here on Town Hill in Colonial Beach. It returns to Sarasota in late October to hold a closing performance at the Sarasota Fairgrounds. The 90-minute show is made up of clowns, jugglers and other performers, as well as trained animals and midways. Featured performers include Clown Lucho, Equestrian Artist Sashi Meluzzi, Ringmisstress Miss Dallas Rosaire Zoppe and her unforgettable canine review, Paulo the juggler and acrobat Juliet to name a few. 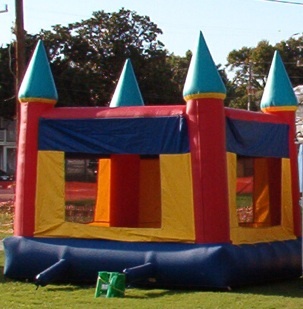 Kids can arrive early to learn more about the operation (or bounce in the bouncy castle, pictured). Walker Brothers is family owned, operated and oriented. They are even available for Corporate events, and they offer equipment for rent when they're not using it. Phone 941-922-8387 for more information.